Lake Charles, LA has many beautiful Historical Homes some of which can be found in Margaret Place and the downtown Lake Charles Charpentier District. 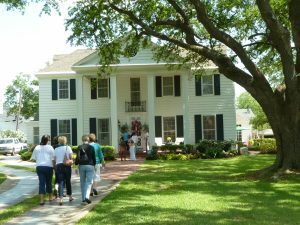 Let's take a step back into time and visit Margaret Place celebrating 100 years with the Annual Palm Sunday Tour of Homes! Margaret Place streets are broken down by Streets on the Calcasieu Historical Preservation Society website. 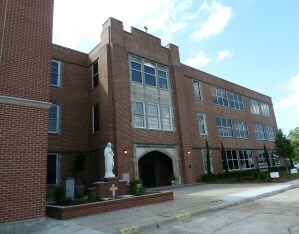 Within the boundaries of Margaret Place in Lake Charles you will find 66 single family homes, 3 historical apartment buildings and one parochial school, Immaculate Conception Cathedral School. Nine Margaret Place homes were featured during the 37th Annual Tour of Homes held Palm Sunday in Lake Charles, LA. The streets within Margaret Place were full of activity with resident homeowners in golf carts transporting visitors to and from homes as needed. For more authentic transportation to the scene of action, visitors could catch the "Trolley Bus" at specified locations in the area complete with a history lesson of the streetcar subdivision by a resident docent! 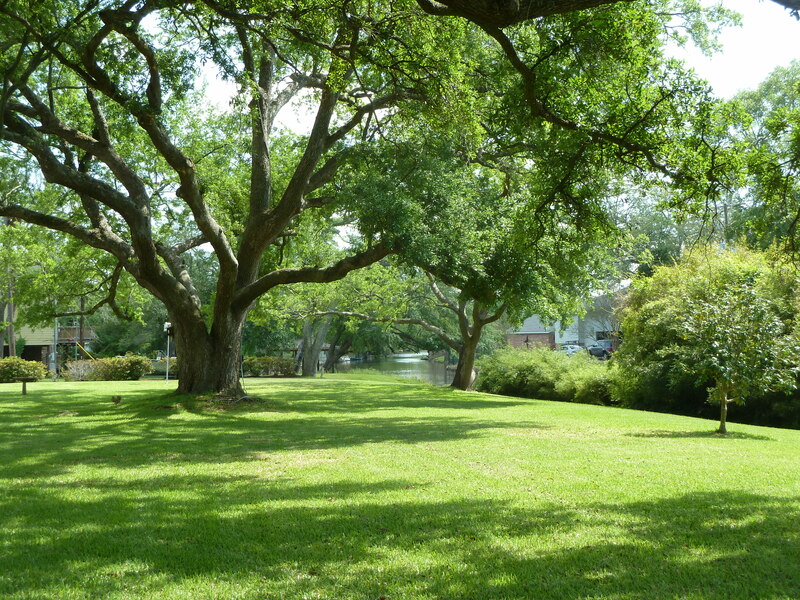 Margaret Place was one of the first Lake Charles Streetcar Subdivisions in the early 1900's. Learn more fun facts and history about Lake Charles Streetcars. 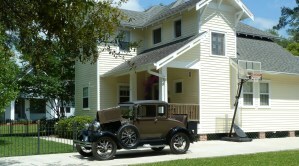 In 1975 Blair and Mickey Stoker purchased the Locke House from the heirs. In 2001 Blair Stoker died and Mickey considered selling the home. The Barnetts were looking for a historic home to restore and contacted Mickey who agreed to sell them the home provided she could carve out a lot next door to build a home which eventually became 1515 Griffith Street. The front door of that house originally came from the Locke home used to access the rooftop terrace! 1515 Griffith the newest addition to Margaret Place built by Mickey Stoker next door to 330 Wilson. 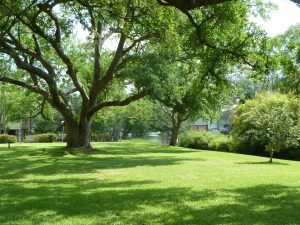 Many of the Margaret Place Homes are graced with beautiful 100 year old Oak trees, and several have a view of the Pithon/Griffith Coulee. 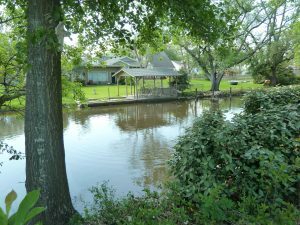 This home stands at the site of the Griffith Coulee where the coulee enters Lake Charles. The entire lot was raised and the shoreline reinforced by dredged fill from the lake and coulee. Many of the oak trees and other plants are original to this 1937 home. The house was originally build in 1937 as a wedding present from Dr. Holcombe to his daughter who married Oliver Stockwell. 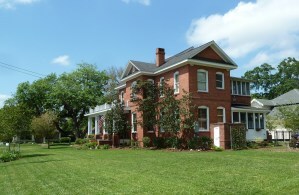 The two story white clapboard neoclassical structure reflects the ambiance and style of an antebellum plantation house because it is a copy of an old Southern plantation house near Thibodeaux, LA Dr. Holcombe admired. The cost to construct the house in 1937 was $20,550! It was a beautiful day in Lake Charles LA to celebrate 100 years of history in Margaret Place. 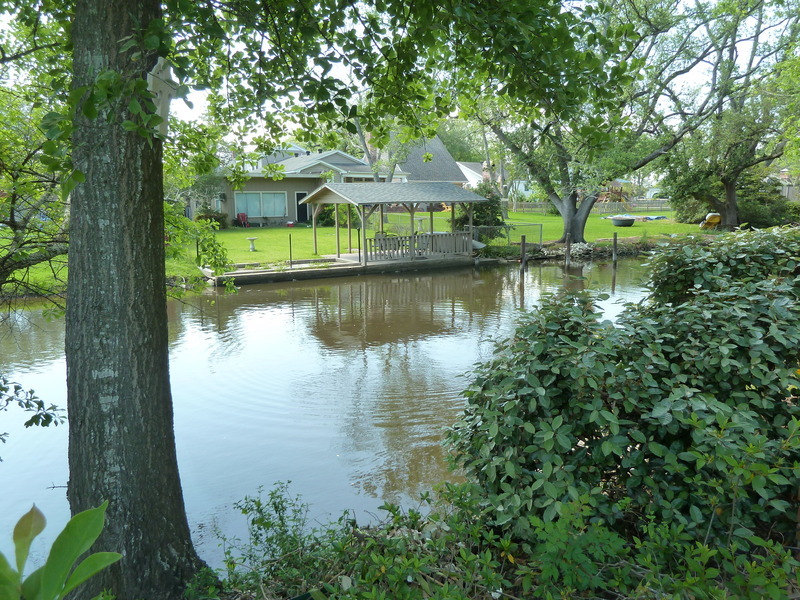 Here is a glimpse of the 100 year celebration of these lovely mid century Lake Charles LA homes!